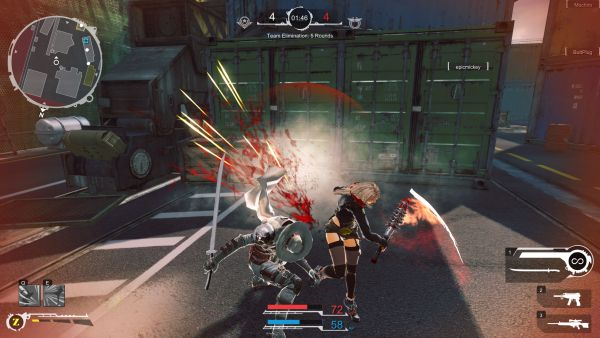 After several years of waiting, MAIET Entertainment has finally released their high-action multiplayer shooter for (most of) the world to enjoy on Steam’s Early Access program. GunZ 2: The Second Duel is an online third person shooter about killing stuff with style. 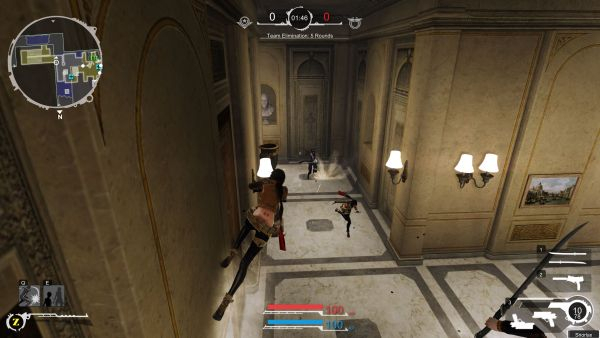 Players can run up walls, pull off acrobatic movements and switch between gunplay and melee combat on the fly. It’s a sequel to the original GunZ: The Duel which came out back in 2003-2005. 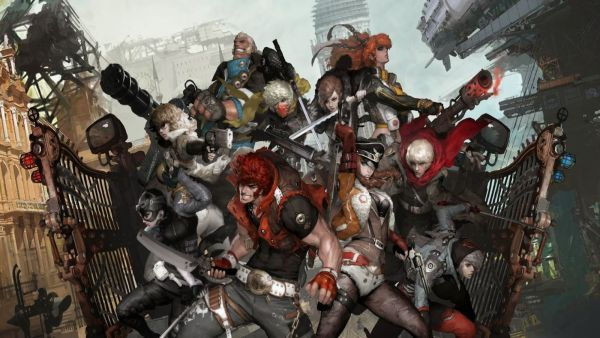 For those that do not know: One of the biggest changes in GunZ 2 compared to its predecessor is the removal of K-Style and D-style: Two popular play-styles that significantly changed the overall flow of gameplay by allowing players to jump, dash, block, slash and shoot all at the same time. 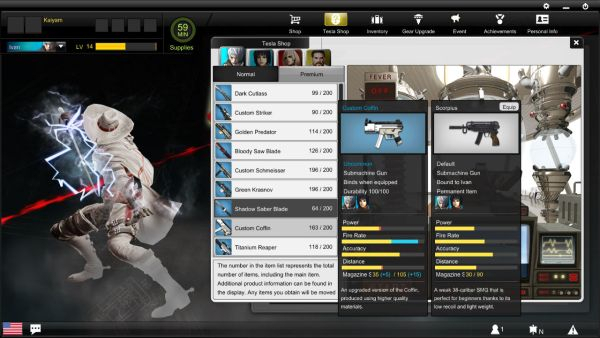 While this made the gameplay a lot more intense and exciting, it also brought weapon imbalance, made latency issues more apparent and even brought about health concerns from prolonged performance of these techniques, such as Carpal Tunnel. MAIET thought long and hard about wanting to bring “style play” back for the release of GunZ 2, as shown in the game’s alpha footage: Players were able to perform moves including shot-slashes (rather than slash-shots), light steps and more. 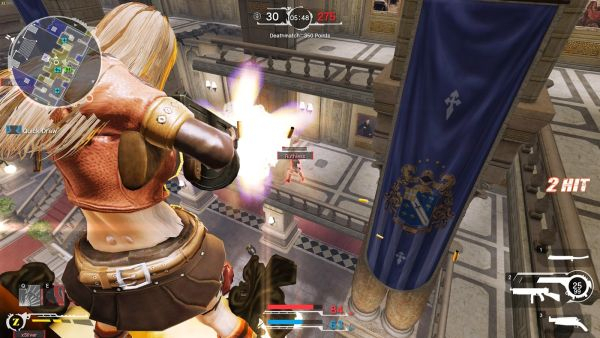 But in the end, MAIET came to the conclusion that it was too much of a hassle to bring it all back if they were going to achieve a more balanced shooting game. With my extensive time spent playing the South Korean, Europe and Taiwan versions of the game (as if I couldn’t get enough of this game in my life…), it was now time for me to jump head first into the Steam Early Access for North America, just to see if there has been any significant changes made, as well as being able to play against others in my region of world. First bit of disappointment that I had with the Steam version was that MAIET still has not included any initial character customization when selecting between the four available classes, which for some reason all have names attached to them unlike before. 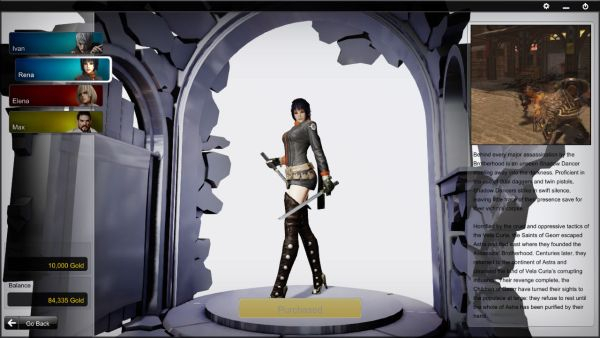 The Silent Avenger is now called Ivan, the Gunslinger is called Elena, the Shield Trooper’s name is Max and the newest class, the Shadow Dancer, is named Rena. Between these four classes, they each have many different strengths and weaknesses, but you still cannot select different hair styles or faces for them, unlike the original GunZ. The character I decide to start off with Rena, who has the ability to create shadow decoys of herself in order to confuse enemies. Plus she also comes equipped with dual daggers and dual pistols, so she plays out like some kind of ninja out of an anime or action movie. While a lot of people would claim that splitting core gameplay up between different classes would be limiting, I did not find these classes to be limiting at all, as I will explain later on regarding some of the bouts that took place. In the original GunZ: The Duel: Instead of different classes, players had access to a weight system, where they could select any weapon they wanted just as long as the player had enough weight space available to hold them all, and this was all dictated by the armor each character wore, so if a player had good armor, they could carry multiple weapons or heavier weapons. However, this proved to give a false sense of customization in the later levels due to the use of K/D-style limiting most loadout options. Once I selected my character, I went through the tutorial which hasn’t changed very much since the EU and TW versions. After completion, one noticeable change was the inclusion of crystals and ores which can be earned from unlocking achievements, opening supply crates every hour and from dismantling equipment. These ores and crystals can be used to earn weapons and equipment from the tesla machine, which is basically a fancy gachapon/gambling system. And as much as I dislike gambling systems, the tesla machine is actually very fair in comparison to other gachapon systems, mainly because it actually shows a global number of chances to win each available prize. Once you understand how the tesla machine works, it’s quite possible to wait patiently for the prize list to drop as low as possible for going for the main prize, which are usually permanent weapons or special costumes. The three modes that are currently available in GunZ 2 include Team Deathmatch, Team Elimination and Time Assault: While Team Deathmatch is fairly self-explanatory; Team Elimination is similar to Team Deathmatch except that players have one life per round. If you die during a match, you cannot respawn. Think of it like a typical round of Counter-Strike with bombing run or hostage capture mode, except that there’s no main objective other than defeating the enemy team… and that people can jump around the environment like something out of a Cirque du Soleil show. The other available game mode is Time Assault, which is very much a straight forward Attack & Defend game mode where one team defends one of three target points on the map while the other team tries to destroy those targets. This mode and Team Elimination mode is where the gameplay truly starts to shine, as teamwork plays a vital role here. Of course, it’s hard to engage in teamwork when the thought of trying to be a nonstop, badass, one-man army kind of action hero is so tempting, but it usually pays off. There are some animation cancel techniques possible in GunZ 2, such as reload shot and guard cancels, but they are nowhere near as game breaking compared to GunZ 1 and only a few of them give players a slight edge over their competition. 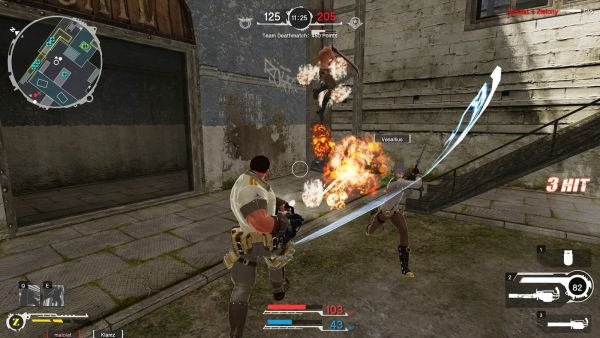 And overall, some of the older techniques from the original have been rendered as completely obsolete: There’s no need for slash cancelling in order to shoot and dodge in midair since players can dash while firing all weapons now. There’s no need for wall slashing to scale walls since they’ve included more initiative wall running mechanics, and so on and so forth. Also: Despite the class system used in GunZ 2, the three weapon types each character has available allows for some varied play styles. I’ve seen Ivan players that prefer to use nothing but their katana to rush down enemies, Max players that like to pester snipers using their mini-guns and much more. Personally speaking: After a few matches in normal mode, and having the opportunity of playing with people in my region, I would have to say that Gunz 2 is actually more difficult to play than Gunz 1. Without the crutch of insanely high mobility, I was forced to make decisions more quickly. I found myself dying a lot in Gunz 2 because of the difficulty of adjusting to the more team-based and snap decision making nature of gameplay. Some battles do get pretty mindless (especially up against grenade spamming Elena players and aggressive flamethrowin’ Max players), but usually when you’re up against a full premade group, you really need to focus. The biggest issue with the Steam version of GunZ 2 is most definitely the lag issues. 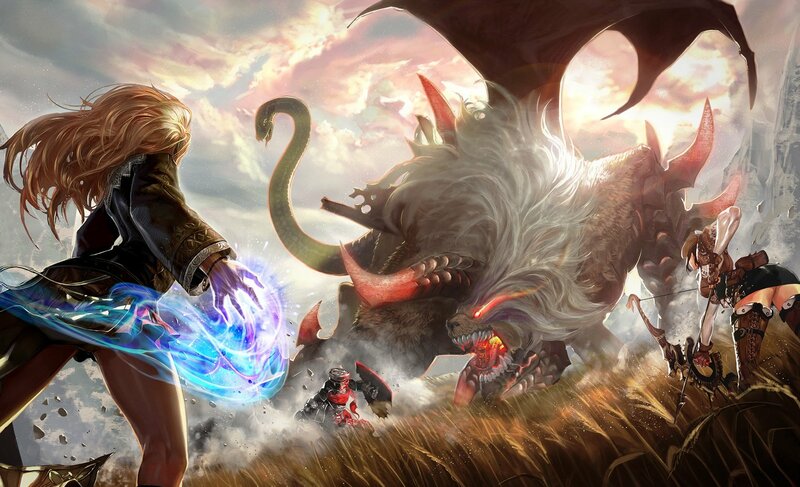 It seems like MAIET didn’t get the memo that peer-to-peer connections do not work well in online video games outside of South Korea, since not every country out there is the size of a small state, and not everyone has access to T1+ internet connection speeds. Unlike most modern shooting games that use dedicated servers, GunZ 2 randomly assigns one player as the “host” before a match begins, which means that if the host lags, everyone lags. And even if the host has a decent connection, they will still have a major advantage over enemy players due to hitscan detection and registration time. If a player is not selected as the host, they will need to lead their shots constantly; otherwise they’ll be missing a lot of hits. This is especially noticeable when using Ivan’s sniper rifle, where it can take up to half a second or more for a shot to travel from point A to point B, and by the time the shot travels across the map, a target would have already moved from their position. Overall, in the game’s current state, it shows a lot of promise with many new classes, game modes and a new campaign in the works. Even with the direct removal of K/D-style, it still managed to give me the same thrill and excitement that the original GunZ gave me. If they can manage to develop some kind of netcode that can compensate for the latency issues before adding new content, then I could see GunZ 2 having quite a long life span. I’ll be sure to give a follow-up review when GunZ 2 is declared as an finished product by MAIET, so stay tuned. Lag = your poor person pc. My IGN is Kaiyam if anyone wants to play me!